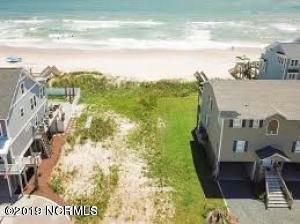 Beautiful Oceanfront lot to build your dream beach house on. The property has amazing oceanfront views and unbelievable views of the sound. The lot survived the storm! Bring your plans and builder or let us help you custom design your home with our build team! Listing provided courtesy of Tom Revoir of Keller Williams Realty.